And to up the ante even more, I'd love to give you more reason to build a cool app using Telerik's tools. 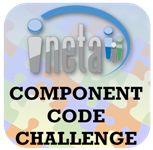 If you win the contest and build an app using Telerik's components, I'll personally take you out to dinner at PDC 2009 and feature your app on Telerik TV and Telerik Watch. If you record a video for this contest and use Telerik controls, be sure to send it to me, too. We'll award the best submission that we receive with a $50 iTunes gift card. PDC, prize packs, iTunes gift cards- what are you waiting for?! Build your cool app today and get those videos submitted. Just wondering... can we use the demo version of RadControls? Most of us likely don't have $800 to buy something for personal use. :) I didn't see anything about it on the Ineta site. It's worthwhile to note that the contest is only open to legal residents of the US and Canada.